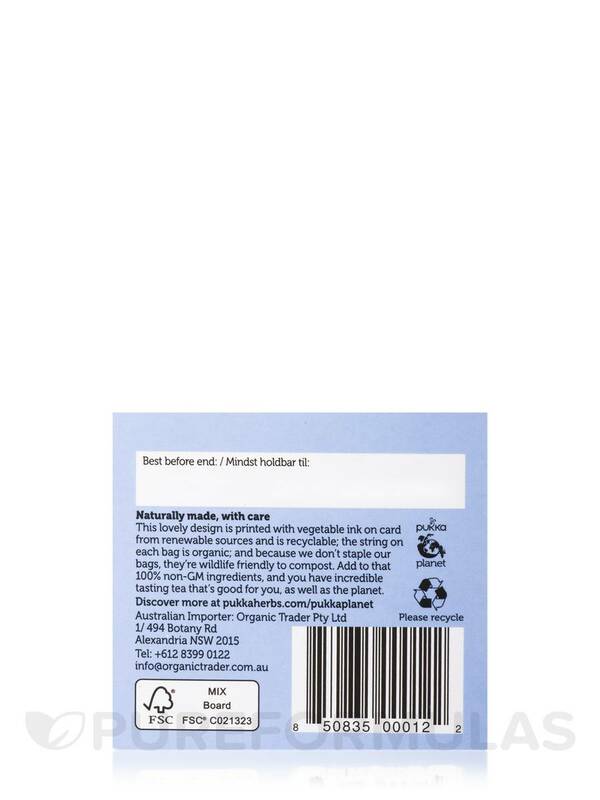 Detox Tea by Pukka Herbs is a very good detox tea and it produces great results. 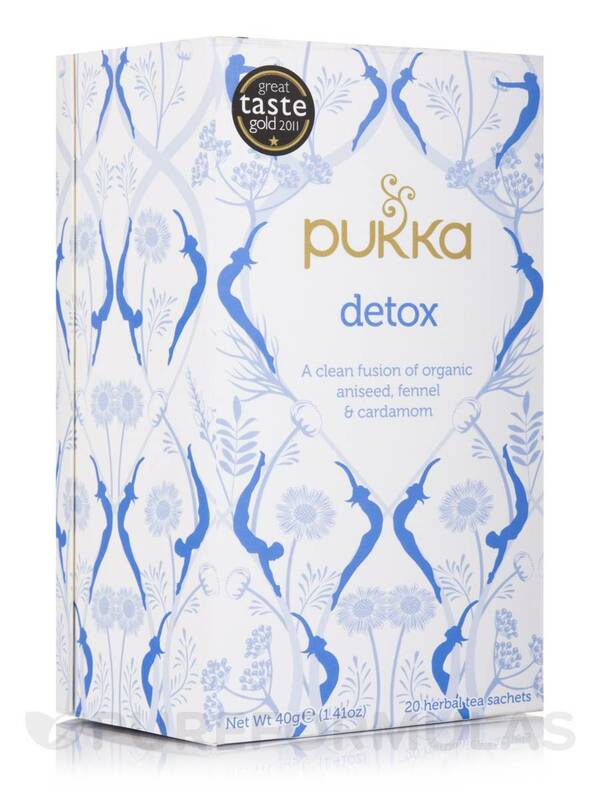 Detox Tea by Pukka Herbs is a great tea for detox. all organic .. no fillers or junk! I love the flavor of Detox Tea by Pukka Herbs and the smell...never drink too much tea like now! 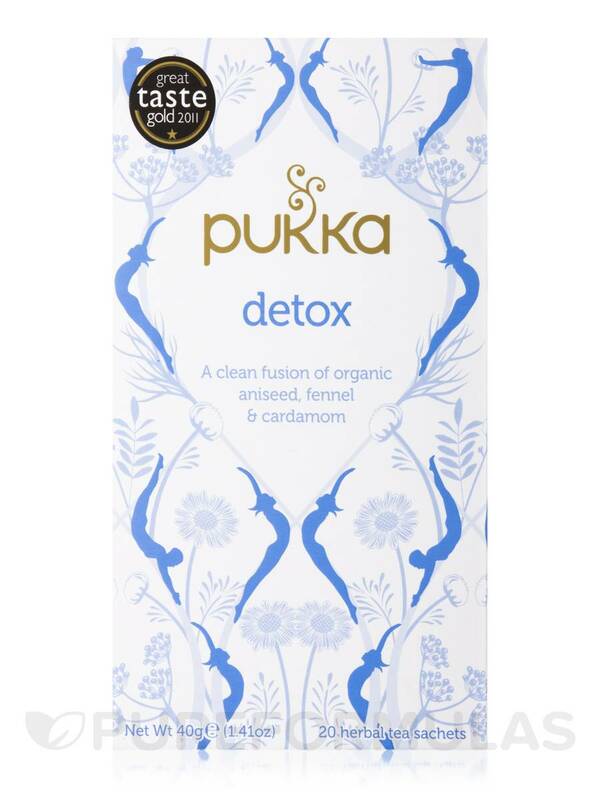 Detox Tea by Pukka Herbs is a tasty tea with potential detoxifying properties. Its soothing herbal blend may possibly help provide digestive benefits. 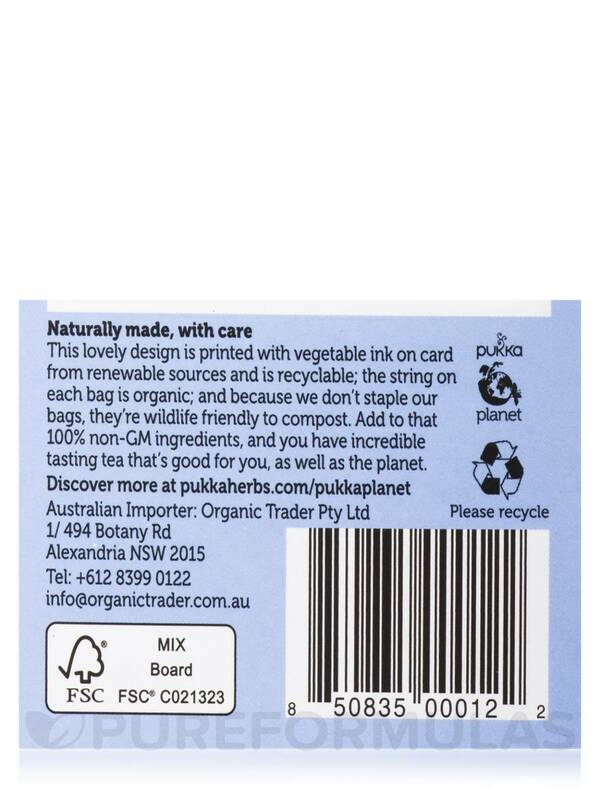 This caffeine free Pukka Herbs tea provides only 100% organically grown and ethically sourced herbs. So not only will it be delicious‚ but also filled with top quality and possibly beneficial components. Aniseed: Is believed to help promote digestive health. Fennel Seed: May have antioxidant properties and may be a good source of fiber. Cardamom Seed: Might be able to relieve symptoms caused by poor gut health. Licorice Root: Believed to help support poor digestive function. Coriander Seed: May possibly have antioxidant properties and be able to aid in digestion. Celery Seed: Is believed to be a diuretic and might be able to help reduce inflammation. Enjoy a daily cup for potential full benefits. Naturally caffeine-free and ethically sourced‚ 100% organically grown ingredients: Aniseed (40%)‚ fennel seed (20%)‚ cardamom pod (15%)‚ licorice root‚ coriander seed‚ celery seed. Bring these incredible herbs alive by infusing in freshly boiled water for at leas 5 minutes. Overall, Pukka Herb Detox Tea is good. Smooth digestion, taste is okay too. It takes 2 days to see the results and I had a bad stomachache after. The taste of this Detox Tea by Pukka Herbs is delicious and it makes me feel better all over. I even add it into the food I'm cooking both for flavor and healing. So I recommend it highly. Detox Tea by Pukka Herbs is an enjoyable tea. Licorice gives it a slightly sweet finish, which is nice. 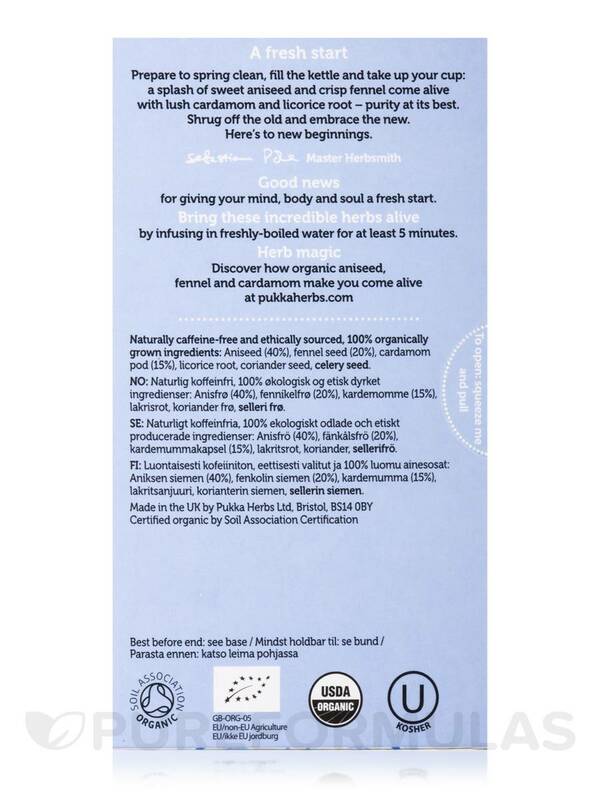 This Pukka Herb Detox Tea formula is soothing, gentle, and effective. Pukka Detox has light licorice flavor which makes a pleasant experience taste. I'm obsessed with Pukka Herbs! I absolutely love every Pukka tea I've tried. Detox is really a phenomenal one. 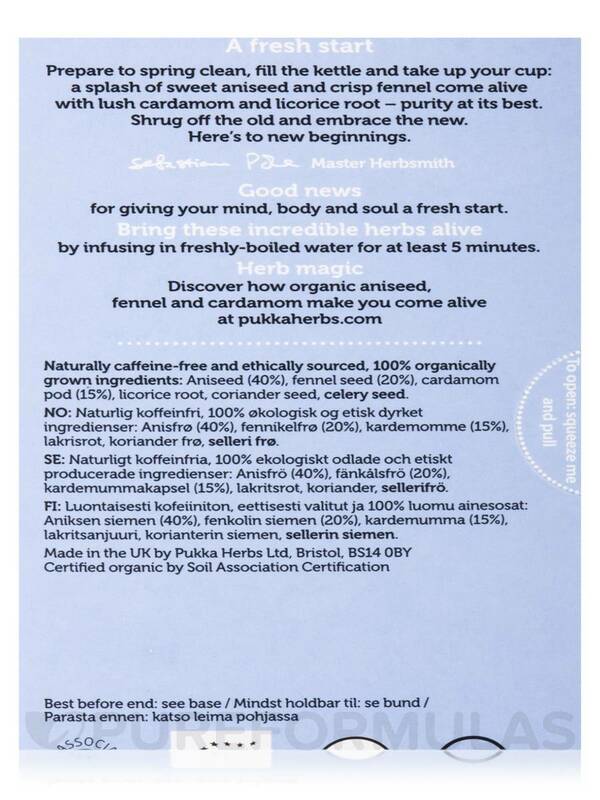 I personally think the taste is excellent, and it makes you feel wonderful internally. I feel light, clean, refreshed and fulfilled after drinking Detox Tea by Pukka Herbs. It doesn't get any better! Once again Detox Tea by Pukka Herbs is my new favorite brand of tea and such a great price! My tea drawer smells like licorice. This is my first time buying Detox Tea by Pukka Herbs and I love it! The flavor is really good, I buy it again. Detox Tea is one of my favorite Pukka teas. I have tried at least 70% of all the Pukka teas. This one tastes great, many detox teas taste okay, but this one I really look forward to drinking. I bought Detox Tea by Pukka Herbs for my husband along with a few other detox teas. 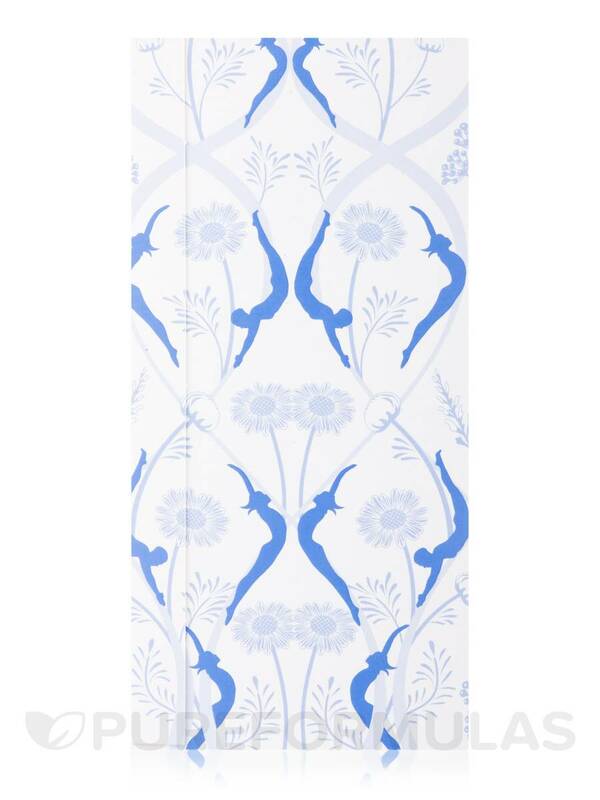 This is his favourite and we will reorder. It has a great taste stronger than some of the other Pukka teas. Gorgeous box! Can you drink this every day? HI Brenda, thank you for your question. There is no saying that this product cannot be taken every day, but we do recommend to speak o your health care practitioner to know safely and accurately if you can take this product daily.